The Fiery Furnaces appeared on the scene at the millennial dawning and proved to be a duo of no small creative prowess. The brother and sister combo of Eleanor and Matt Friedberger thrive on conceptual works, different approaches in songwriting narratives, and emphasis on instrumental minimalism. 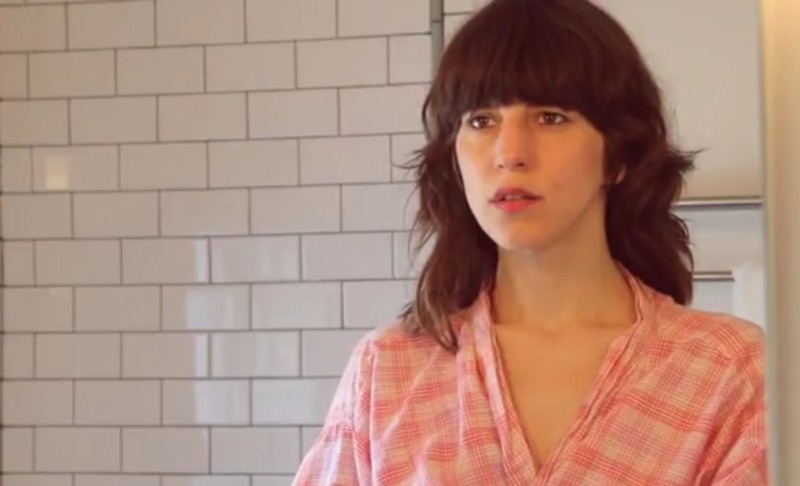 Eleanor Friedberger's solo debut Last Summer, a personal series of nostalgic diary pieces reconstructed for song, was recently released by Merge. Being the persistent inquisitor of musical affairs, I bothered Ms. Friedberger about both solo business and the Furnaces' future. Tell us what brought you into the solo arena? I mean it wasn’t so much but it was like, you know, I felt like it has been so long and my brother was working on his own solo stuff and you know I didn’t want to go through life without separating myself and making a record on my own. What’s Matt working on these days? He’s making these records for his solo series where he records with only one instrument used on each record [Napoléonette, piano, Meet Me in Miramas, guitar, Old Regimes, harps]. I love how you guys are into concept albums and instrumental reinventions of albums. We feel like if we’re gonna make a record, like a rock record I mean, I feel like we’re not going to make another rock record like we did before but you know we have to do something a little different and make something that’s our own. For me it’s more of a personal goal to create that difference… maybe not a good enough reason, heh, but then again we’re not a regular band. There’s a real inclusive great quality where you even get your grandma involved telling stories a few albums back. Like a genuine Partridge Family, but not in sound, we’re all in this together, we all have a story to tell and a song to sing. What’s next for the Furnaces? You know we’re just working on our solo stuff; we’ll see what happens after Christmas we’ll see how we feel. You know, we will make another (Fiery Furnaces) record. We would like to make a film or documentary about the recording process. Like with “My Mistakes,” what mistakes do you obsess over?. Relationships, it’s all very…not very imaginative, I want people to get whatever they want but all the lyrics it’s about stuff like that. There’s a lot of visceral scenery of places around Brooklyn and it springs to life the feeling of getting lost and walking down streets, through neighborhoods; you get the feeling of walking with your thoughts. The whole album is about reminiscing and the songwriting is really about feeling lost in your own city and enjoying the thrill of that and also being a bit disturbed by that. It’s like the first song “My Mistakes,” where there is nothing but guitar I think it literally sums up the whole record, I don’t know if the image comes across but like me with riding my bicycle like I do all over New York; riding down and when I’m in that place, it's where I’m doing the most thinking, where I’m thinking about what I have to do today or what happened five years ago and that’s just where it all happens. Just reminiscing. And that’s what the record is about. How do you go about the narrative songwriting process of connecting spaces to thoughts to song? Who are some of your song writing influences at the moment? When he was still going by Tyrannosaurus and just the T ? Yes. I’ve been listening to a lot of Brazilian singers, it’s funny listening to that stuff because I don’t know what the words are but that the music captures a certain mood. Great stuff, I dig that sense of polyrhythm. The last song on the record, “Early Earthquake,” I mean is a pathetic attempt but was influenced by that sort of rhythm. Do you feel that you have more room for musical inspirational now? I don’t know anyone who is more musically adventurous than my brother. For me it was more of you know, I’m so limited in my abilities than him, ha ha, but my you know, my imitations are a big part of the song writing process but I have never been afraid of sounding like something, that’s what I do, when the time comes to copy something else you never actually end up do something completely creating the same thing. You never provide a facsimile; you provide your own, twist, your own take.